Perhaps you’ve discovered a cappella music by watching Pitch Perfect or The Sing Off, or maybe you’re like me, and you’ve been a fan since your college days. If you’re unfamiliar with this musical format, a cappella is music sung without instrumental accompaniment. This artform originated centuries ago as religious madrigals, which eventually influenced the musical styles of barbershop and doo wop. Contemporary a cappella groups perform a variety of musical styles including rock, pop, hip hop, country, and jazz. It’s fascinating to see a cappella groups use their voices to perform all the singing and instrumental parts of their songs. Dare I say it? It’s aca-awesome. 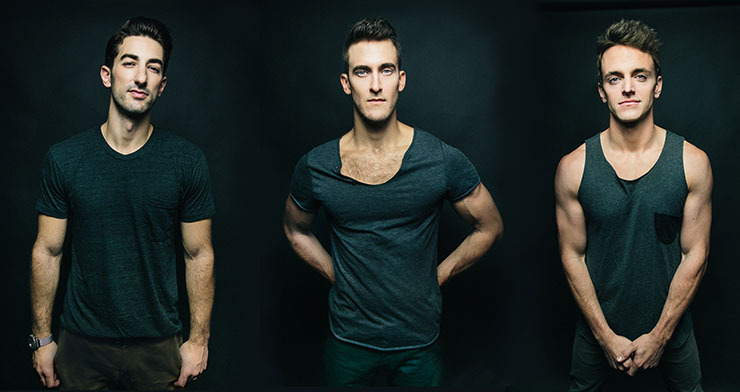 This weekend, March 6-8, 2015, Reston will host the SingStrong DC A Cappella Music Festival. It is a three-day series of concerts and classes at South Lakes High School. Profits will support the Alzheimer’s Association and local music programs. Traces, known from NBC’s “The Sing Off,” will perform Saturday at 7pm and Sunday at 2pm. Professional, student, and amateur a cappella groups will perform at SingStrong DC. Styles will include pop, jazz, rock, barbershop, beatbox and more. All musical parts will be performed vocally. There will be five concert events, as well as classes and coaching for people interested in learning a cappella skills. Ensamble Fenix, a jazz a cappella group from Venezuela, will perform Saturday at 9:30pm and Sunday at 2pm. All events take place at South Lakes High School’s Arts Center, at 11400 South Lakes Dr, Reston. ** UPDATE: The concert on Friday, March 6, 2015 will take place at Floris United Methodist Church, at 13600 Frying Pan Rd, Herndon, VA 20171, because all Fairfax County Schools are closed due to the snow. ACA-Idol is an a cappella competition for professional and collegiate groups in the style of American Idol. Celebrity judges give live feedback. The show is hosted by Jonathan Minkoff (Blue Jupiter, acappella101.com, RARB.org). First place is $1,000 and audience members get to vote using their cell phones to help determine the winner. Competitors include: The BluesTones from JMU, The Seabelles, The Rhythm and Roos from University of Akron, Uncommon, The Lobby, CATCH-22, Pitches Be Crazy and more. SingStrong will present over a dozen classes on such topics as recording techniques, stage presence, forming and directing an a cappella group, beatboxing, copyright law, and musical arranging. From beginners to pros, these classes are designed to help anyone interested in a cappella take their skills to the next level. 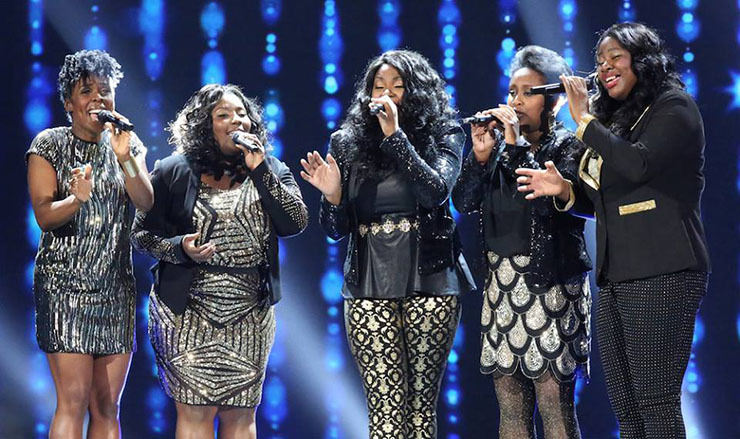 Attending a cappella groups will also enjoy free private coachings with their weekend passes. Features the Finals of SingStrong’s High School Competition with awards for performance, arranging and composition, as judged by respected a cappella educators from around the country. Features multiple professional a cappella groups including Traces, Blue Jupiter, Anna-Maria Hefele, Apollo Link (aka Spideyboys) and more. Between concerts there will be a silent charity auction to benefit the fight against Alzheimer’s Disease. Features an entirely separate slate of professional a cappella groups, including Resound, Ball in the House, Vocaldente, Ensamble Fenix, Feedback and more. Features professional a cappella groups, including Resound, Traces, Ensamble Fenix, The Alexandria Harmonizers, Feedback, Apollo Link (aka Spideyboys) and more! The members of Apollo’s Link met while performing on Broadway in Spider-Man. They will perform Saturday at 7pm and Sunday at 2pm. For singers who attend classes without a group to perform with, SingStrong offers an open a cappella group, The Single Singers. Attendees sign up, get their music online, briefly rehearse together at the festival, and then perform on the mainstage. The Single Singers welcome members of any age, ranging from children to seniors. 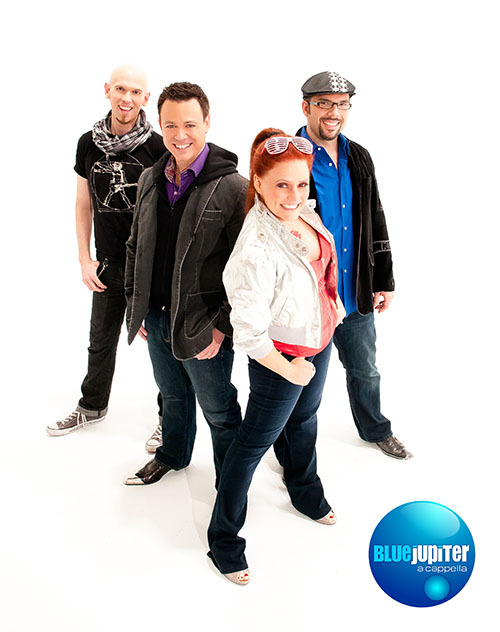 Pop and beatbox group Blue Jupiter will perform on Saturday at 7pm. Tickets prices for individual concerts range from $20-$35. Weekend passes are available at a discount for people who want to attend multiple concerts and classes. You can order tickets here.